I know a lot of people these days are against fur in fashion, whether it be vintage or new. But I am not one of them and just thought I would share my thoughts on the issue and show you my furs while I am here. My wee collection consists of both new and vintage furs. Pictured above (in the dark since it never really gets light here any more) is my vintage mink scarf / stole. This is made of six mink and has tails and back feet still on it. Everyone I know hates it, even my brother who kills things! But I love it, it's so soft and pretty. I almost act as though it's still alive #creep. I also have the most gorgeous fox fur bomber hat with leather top. I love love love this hat, so soft and so warm. Sometimes I'm walking in to uni and I have to take it off because I get too hot! This is a new piece of fr which I bought when I went to Russia for the first time. I also have a pair of rabbit fur mittens but I don't know where they are, also new fur! My basic philosophy on fur is that I see it the same way as other animal industries such as meat and leather, and my reasons for enjoying fur are pretty much the same as for them! 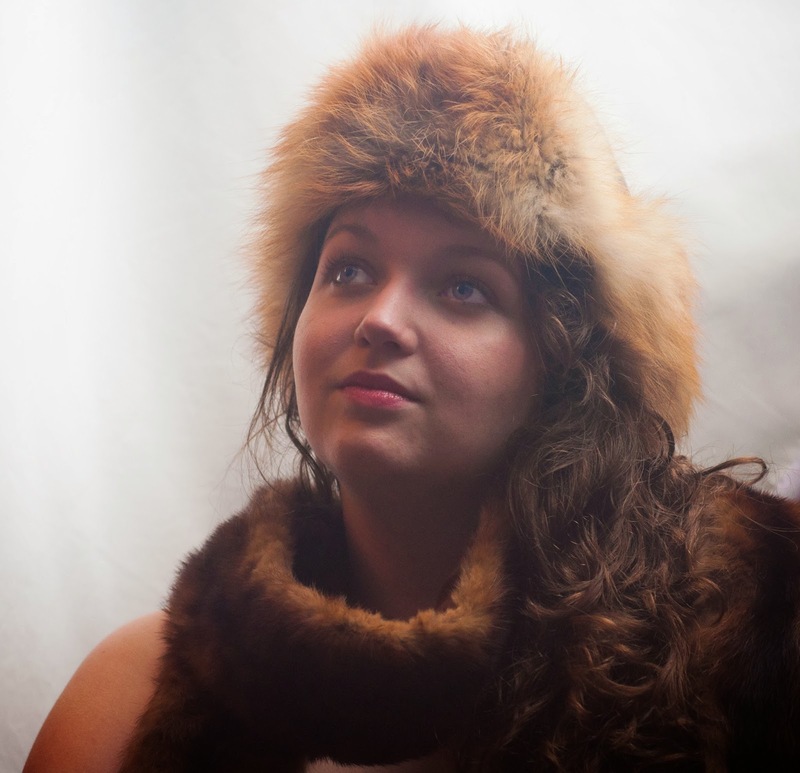 I have no problem with vintage fur for pretty obvious reasons- its already dead. And no amount of boycotting can bring that back, so yeah. New fur is the same as the other industries for me, but lacking a lot of the exposure and transparency we have in say meat farming. And so I think that by buying into the fur industry it could actually help it improve and change it so it is more pleasing to our conscious! Like we used to accept chickens being farmed in teeny tiny boxes, but then we were like "Noooo", now we have other options to eat. In my head we can do that with the fur industry too! And I also have my own wee moral about fur, I wouldn't ever wear anything I wouldn't want to either kill myself or see dying in front of me. Bit harsh to picture I know when you vocalise it like that but keeps me grounded and not wearing baby seal feet or something. Being from the country I'm kind of used to these things, and I'm okay with fox, rabbit and mink etc but would struggle with other types. Plus we have the other usual arguments for fur - environmental consequences of fur alternatives and the livelihoods of indigenous peoples. But let's not get into all that, I'm not trying to change anyone's mind with this blog post, just sharing my views since I don't think this is that popular an opinion to see! So no judgements please, big love etc.